A pink golden ring of the brand PonteVecchio, set with brilliant cut diamonds with a total weight of approx. 0,15 crt. A white golden ring of the brand PonteVecchio, set with brilliant cut diamonds with a total weight of approx. 0,15 crt. A white golden ring of the brand PonteVecchio, set with brilliant cut diamonds with a total weight of approx. 0,17 crt. A pink golden ring of the brand PonteVecchio, set with brilliant cut diamonds with a total weight of approx. 0,03 crt. A white golden ring of the brand PonteVecchio, set with brilliant cut diamonds with a total weight of approx. 0,03 crt. A white golden ring from our vintage collection, set with 133 brilliant cut diamonds with a total weight of approx. 1,50 crt. A white golden ring from our vintage collection, model Pavé, set with brilliant cut diamonds with a total weight of approx. 0,49 crt. A yellow golden ring from our vintage collection, set with 6 brilliant cut diamonds en 3 emerald. A white golden ring from our vintage collection, set with 1 topaz gemstone. A pink golden ring of the brand PonteVecchio, set with brilliant cut diamonds with a total weight of approx. 0,05 crt. en 1 garnet gemstone with a weight of approx 2,05 crt. A white golden ring of the brand INDYGO, set with brilliant cut diamonds with a total weight of approx. 0,10 crt. en 1 topaz gemstone with a weight of approx 2,24 crt. A pink golden ring of the brand INDYGO, set with brilliant cut diamonds with a total weight of approx. 0,19 crt. en 1 turquoise with a weight of approx 2,45 crt. A pink golden ring of the brand PonteVecchio, set with brilliant cut diamonds with a total weight of approx. 0,05 crt. en 1 citrine gemstone with a weight of approx 2,05 crt. A pink golden ring of the brand PonteVecchio, set with brilliant cut diamonds with a total weight of approx. 0,05 crt. en 1 amethyst gemstone with a weight of approx 2,05 crt. A pink golden ring of the brand PonteVecchio, set with 2 brilliant cut diamonds with a total weight of approx. 0,02 crt. en 1 amethyst gemstone with a weight of approx 2,65 crt. 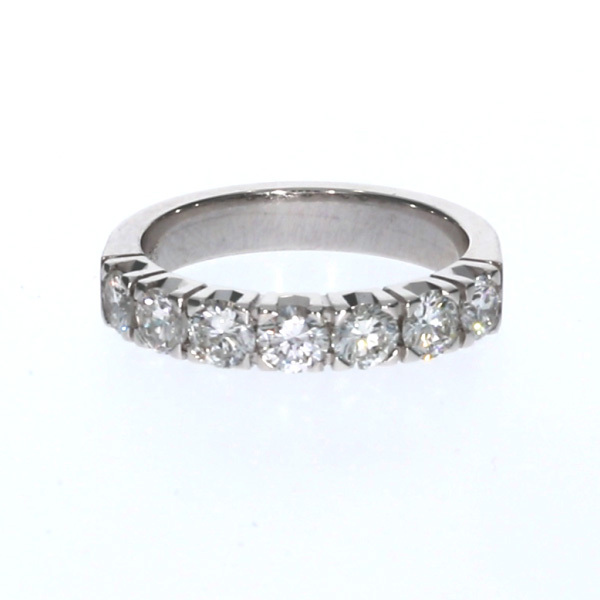 A white golden ring of the brand INDYGO, set with brilliant cut diamonds with a total weight of approx. 0,10 crt. en 1 peridot gemstone with a weight of approx 2,00 crt. A pink golden ring of the brand PonteVecchio, set with brilliant cut diamonds with a total weight of approx. 0,05 crt. en 1 with a weight of approx 2,05 crt. A pink golden ring of the brand INDYGO, set with brilliant cut diamonds with a total weight of approx. 0,10 crt. en 1 amethyst gemstone with a weight of approx 1,53 crt. A pink golden ring of the brand INDYGO, set with brilliant cut diamonds with a total weight of approx. 0,10 crt. en 1 rhodolite gemstone with a weight of approx 2,49 crt. A pink golden ring of the brand INDYGO, set with brilliant cut diamonds with a total weight of approx. 0,10 crt. en 1 with a weight of approx 2,46 crt. A pink golden ring of the brand PonteVecchio, set with brilliant cut diamonds with a total weight of approx. 0,05 crt. en 1 peridot gemstone with a weight of approx 2,05 crt. A pink golden ring of the brand PonteVecchio, set with brilliant cut diamonds with a total weight of approx. 0,26 crt. A pink golden ring of the brand INDYGO, set with brilliant cut diamonds with a total weight of approx. 0,19 crt. en 1 with a weight of approx 2,37 crt. A pink golden ring of the brand INDYGO, set with brilliant cut diamonds with a total weight of approx. 0,19 crt. en 1 with a weight of approx 2,46 crt. A white golden ring of the brand PonteVecchio, set with 2 brilliant cut diamonds with a total weight of approx. 0,02 crt. en 1 topaz gemstone with a weight of approx 2,65 crt.